Federal law currently imposes estate and gift taxes (referred to collectively as “transfer taxes”) on donative transfers, including lifetime gifts and transfers taking effect at death. The United States has levied estate taxes since 1916. Federal law has imposed gift taxes continuously since enactment of the Revenue Act of 1932. The following discussion describes some features of federal estate and gift tax law and estate planning. The discussion provides information about computation of the gift tax and estate tax as well as information about the applicable exclusion amount, the marital deduction, portability and the use of credit shelter trusts. The federal gift tax is applicable only to transfers of assets made by individuals during their lifetimes. The federal gift tax consequences of an individual’s transfers are determined on an annual basis. When an individual makes gifts in a particular year, a gift tax may be assessed only on the portion treated as taxable gifts. Under federal law, the amount of an individual’s taxable gifts in any year is equal to the total amount of gifts made by him or her during the year less applicable deductions. For example, a gift to a charity is normally deductible. In addition, gifts that qualify for an exclusion, such as the annual exclusion, are not counted in computing the total amount of gifts made by a person during a year. Under applicable law, gifts made by a donor to any person in a calendar year are not included to the extent that the gifts do not exceed the amount of the annual exclusion for that year. The amount of the annual exclusion is $15,000.00 for 2019. When a donor makes gifts to any person in 2019, the first $15,000.00 of those gifts is not treated as a taxable gift. A donor can, therefore, give an amount equal to the annual exclusion for the year to each of any number of persons without being treated as having made any gifts for gift tax purposes. Due to the large basic exclusion amount, discussed below, most individuals will not be required to pay federal gift tax. When gift tax is payable on a person’s taxable gifts in any year, computation of the gift tax requires taking into account all of the taxable gifts that the person has made in his or her lifetime up until the end of that year. The gift tax imposed on a person’s taxable gifts made in a year is equal to (1) the gift tax that would be imposed on all of the gifts made by the person in that year and all prior years during his or her lifetime less (2) the gift tax that would be imposed on gifts made by him or her in prior years. In other words, the gift tax assessed on a person’s taxable gifts in any year is determined first by computing the gift tax payable on the cumulative amount of taxable gifts made up to the end of that year and then by subtracting from that amount the gift tax payable on gifts made in prior years. The federal estate tax applies to transfers of assets that take effect on an individual’s death. 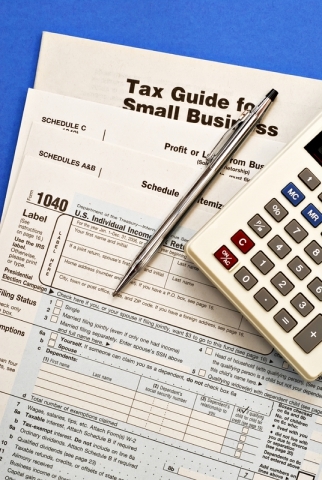 In those cases in which a decedent’s transfers are subject to estate tax, the computation of the estate tax requires taking into account the value of the decedent’s taxable estate. An individual’s taxable estate includes the value of property in his or her gross estate less allowable deductions. The amount of the estate tax imposed on a person’s taxable estate is generally equal to (1) the estate tax that would be imposed on the sum of his or her taxable estate and all of the lifetime taxable gifts made by him or her less (2) the gift tax payable on his or her lifetime gifts. Federal estate and gift taxes are part of a unified transfer tax system. It is unified because it computes gift and estate taxes using one exemption amount and one rate schedule. The unified estate and gift tax system determines the transfer tax payable on an individual’s transfers, including gifts in any year and transfers at death, by taking into account the cumulative transfers made by the individual up to the time of the transfers, i.e., the year when the gifts are made or the year of death. Thus the estate or gift tax on a person’s transfers at any time is always imposed by reference to the cumulative transfers made by him or her to date. Under the unified system, an individual’s transfers will result in transfer tax liability only if and when the cumulative amount of his or her taxable transfers exceed a specified amount, a single amount that applies to lifetime gifts and transfers at death. That amount is referred to as the “applicable exclusion amount.” Federal law shelters transfers up to the applicable exclusion amount from transfer tax by allowing each individual an applicable credit against estate and gift tax. The applicable credit is the amount of tax that would be imposed if the cumulative amount of his or her taxable transfers were equal to the applicable exclusion amount. The applicable credit therefore exempts an individual’s transfers from gift and estate tax if his or her total taxable transfers are less than the applicable exclusion amount. The applicable exclusion amount is the sum of the basic exclusion amount and, in the case of a surviving spouse, the deceased spousal unused exclusion amount, which is discussed below in connection with portability. The basic exclusion amount is $5,000,000, as indexed for inflation since 2011. Due to indexing, the basic exclusion amount is $5,340,000 for 2014 and $5,430,000 for 2015. The taxable gifts of an individual will be subject to gift tax only to the extent that the cumulative amount of his or her taxable gifts is in excess of the applicable exclusion amount. Similarly, the taxable transfers of an individual will be subject to estate tax only to the extent that the cumulative amount of his or her transfers, made during his or her lifetime and at death, is in excess of his or her applicable exclusion amount. Under the unified federal estate and gift tax system, a single graduated rate schedule applies to cumulative taxable transfers made by an individual during his or her lifetime and at death. The effective estate and gift tax rate is 40%. Technically, the tax rate schedule on taxable transfers begins at a rate of 18% for taxable transfers not exceeding $10,000.00. The rate increases under a graduated rate schedule with the rate reaching 39% on taxable transfers exceeding $750,000.00 and less than $1,000,000.00. 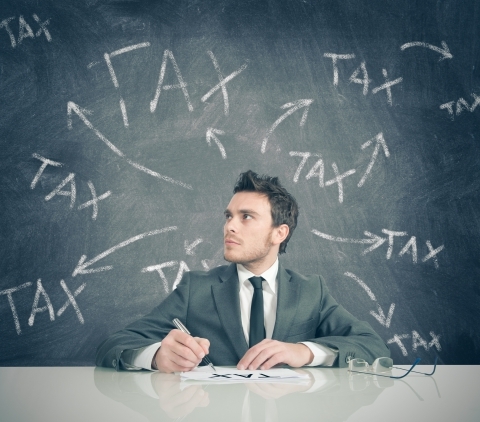 All taxable transfers in excess of $1,000,000 are subject to transfer tax at a rate of 40%. However, the only transfer tax rate that will ever actually be imposed is 40% because no transfer tax is imposed unless taxable transfers exceed the applicable exclusion amount, which will at least equal the basic exclusion amount of $5,000,000, adjusted for inflation. The applicable credit, applying against estate and gift taxes on cumulative transfers less than the basic exclusion amount, eliminates the transfer taxes that would have been imposed at rates lower than 40% in the absence of the applicable credit. A married individual is entitled to a deduction (the “marital deduction”) generally equal to the total value of the assets that he or she has given to his or her spouse during life or at death in transfers that qualify for the marital deduction. As a result, any transfer of property from one spouse to the other is free of estate or gift tax if the transfer qualifies for the marital deduction. In general, an outright gift of property made by one spouse to the other spouse will qualify for the marital deduction. However, a transfer in trust for a spouse’s benefit will be entitled to the marital deduction only if the trust is a type of trust that may receive a gift that qualifies for the marital deduction. For example, a gift to a qualified terminable interest property (“QTIP”) trust for the benefit of a spouse will generally qualify for the marital deduction. Under federal law, it is possible for the unused applicable exclusion amount of a deceased spouse to be carried over to his or her surviving spouse, provided that the deceased spouse’s date of death is after December 31, 2010. The amount of a deceased spouse’s applicable exclusion that can be used by the surviving spouse is referred to as the “deceased spousal exclusion amount.” The deceased spousal exclusion amount for a surviving spouse is equal to the lesser of (1) the basic exclusion amount in effect for the year of the deceased spouse’s death and (2) the unused exclusion amount of the last deceased spouse of the surviving spouse. The unused exclusion amount of the deceased spouse is the excess of (1) the decedent’s applicable exclusion amount over (2) the sum of the taxable estate and the amount of the adjusted taxable gifts of the decedent. If the surviving spouse has survived more than one spouse, the surviving spouse may only use the unused exclusion amount of his or her spouse who died most recently. A surviving spouse is entitled to use a deceased spousal exclusion amount for transfers made during the surviving spouse’s lifetime or at his or her death. The executor of the deceased spouse’s estate must make an election as a condition to allowing the surviving spouse to use the deceased spousal exclusion amount. The executor of the deceased spouse’s estate must make the election on a timely filed estate tax return for the deceased spouse’s estate. To illustrate, assume that a woman survives her husband, who died in 2011 and used $1,000,000 of his $5,000,000 exclusion amount. If the widow were to die in 2015 without making any taxable gifts, her exclusion amount would be $9,430,000, i.e., the sum of $5,430,000 (her exclusion amount) and $4,000,000 (the exclusion amount that carries over from her deceased husband), assuming that the executor of the deceased husband’s estate made a proper election. Assets held in a credit shelter trust created under the will or trust of the first spouse to die are not included in the surviving spouse’s estate for federal estate tax purposes. As a result, the surviving spouse’s estate is generally not subject to estate tax if his or her taxable estate, comprised of separate assets held outside of the credit shelter trust, does not exceed the applicable exclusion amount. Provisions of a credit shelter trust typically permit the trustee to make trust funds available to the surviving spouse, subject to limitations designed to prevent inclusion of the trust assets in the estate of the surviving spouse. Will and trust agreements employ various methods for determining the amount of assets used to fund a credit shelter trust. Some documents create a gift to the credit shelter trust through a formula that provides for distributing to the trust the largest amount that can pass to the trust free of estate tax. Other wills and trust documents include a provision that make a gift to the credit shelter trust of a specified percentage of the residue of the estate or trust. Another method provides for a gift of the residue of the estate or trust to the surviving spouse and further provides that assets disclaimed by the surviving spouse would pass into a credit shelter trust. Married couples must decide whether the use of credit shelter trusts in their estate plans is appropriate under current law. A credit shelter trust may be considered unnecessary in certain situations where the basic exclusion amount exceeds the value of the couple’s combined estate. In addition, some couples may decide to rely on portability as a means of enabling the surviving spouse to utilize the deceased spouse’s unused exclusion amount without creating a credit shelter trust. Despite portability and the size of the exclusion amount, certain factors make it desirable in many cases to consider incorporating a credit shelter trust into a will or trust, either by including a gift to a credit shelter trust or by including a gift to the surviving spouse and providing for a credit shelter trust to hold any assets disclaimed by the spouse. For example, an individual who survives his or her spouse will lose the right to use the deceased spouse’s exclusion amount of a specific deceased spouse if that deceased spouse did not establish a credit shelter trust and the surviving spouse remarries and outlives the new spouse. Another factor is that post-death appreciation in the value of deceased spouse’s assets passing outright to the surviving spouse is included in the surviving spouse’s gross estate. In contrast, post-death appreciation in the value of a deceased spouse’s assets passing into a credit shelter trust is not included in the surviving spouse’s gross estate. In addition, an individual may want to use a credit shelter trust to hold assets for his or her surviving spouse for objectives unrelated to estate taxation, such as protecting the assets from creditors of the surviving spouse or controlling the distribution of the assets at the time of the surviving spouse’s death.